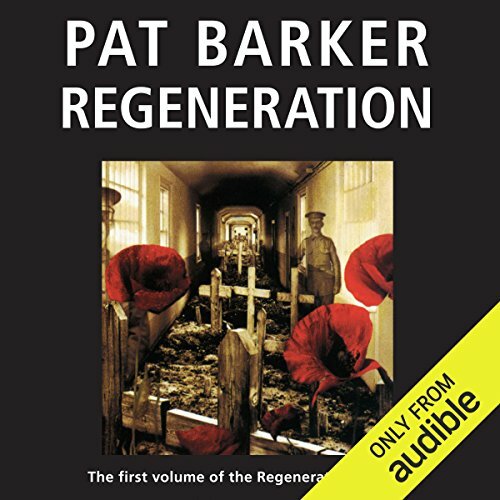 Pat Barker captures the devastating effects of the First World War on those in the front lines. Her vivid and insightful descriptions of the suffering of the survivors and, in this volume, doctors in a military hospital treating their psychological scars, are deeply moving. The device of including real historical figures such as Siegfried Sassoon, Dr. William Rivers and Wilfrid Owen heightens the realism. 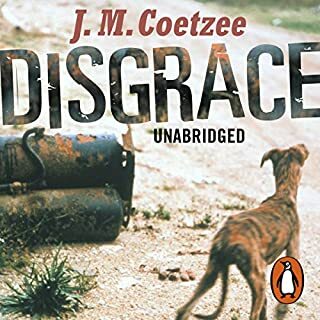 The articulate internal and external debates about the morality of fighting a disastrous war with no clearly defined ultimate goal or competent strategy makes the story oh, so relevant to contemporary readers. A beautifully written novel, the first in Barker's "Regeneration Trilogy" (the third volume won the Booker Prize). Set in a war hospital in Scotland during World War I, the story revolves around several patients and physicians, including the poet Siegfried Sassoon. After serving honorably, Sassoon wrote an anti-war statement, which he asked an MP to read in session. His friend and fellow officer Robert Graves, knowing that Sassoon would be facing a court martial, claims the statement was due to battle fatigue and has him sent to Craiglockhaven for treatment. Dr. Rivers's task is to get Sassoon to agree to return to the front. Other patients include the young poet Wilfred Owen and Billy Priot, a young man who can't eat after having been blown into the decomposing body of a German soldier. A fascinating look at the social pressure put on young men during the war, as well as the effects of the war on people and relationahips and of the treatment of the psychological scars it caused. Not only does this explore the mud and blood of WWI, it's a darn good narrative involving interesting historical figures in a non-exploitative way. It speaks to the moral dilemma of ALL war without preaching about "the old lie." By presenting its setting in period of social cultural change so well through the characters, it raises other questions still relevant today. 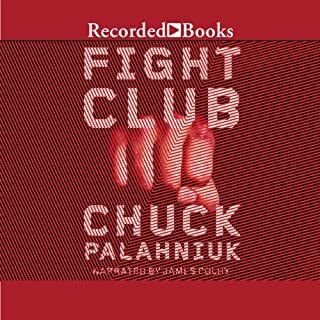 I downloaded the audiobook after seeing the film adaptation (Behind the Lines) - The film is very faithful to the novel. Once I started listening to the audiobook, I had to buy a paper copy to re-read passages -- If you're interested in war - and particularly the WW I poets Sassoon, Graves and Owen - this is riveting in all three versions. I liked Firth's quiet narration style. He reads more than dramatizes. That suits the novel well, though at times you need to pay close attention to follow who is speaking - but the novel is so good that an interested listener would give it undivided attention. World War I was such an interesting period of time. We were emerging from the Victorian Era, the age of more modern machines and tools of warfare were available, as was more modern thinking about psychiatry and women's rights. Barker's novels, including this one are outstanding. What did you love best about Regeneration: The Regeneration Trilogy, Book 1? If you enjoy history combined with psychology, this is a good book. Although a little dry in parts, the characteracters bring meaning to how horrible war is and how change in a science that cannot be measured or always seens as scientific must have been difficult at the least. Would you be willing to try another book from Pat Barker? Why or why not? What about Peter Firth’s performance did you like? The patience and feelings that the doctor also experiences himself are portrayed in his voice very clearly. 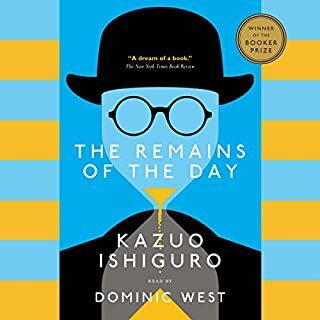 The intricacy of war and poetry, of exterior and interior experience, of nationalism and individuality and physical and psychological health combine in an elegant and spare novel. 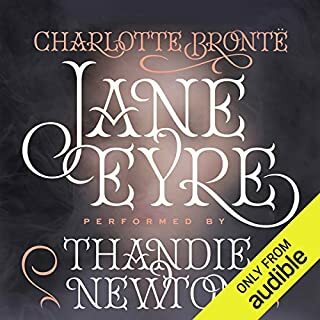 I listened to this concurrently with watching the (admittedly disappointing) second season of Downton Abbey and revisiting The Making of a Sonnet: a Norton Anthology. Firth is a wonderful narrator. Lots of long pauses which I find initially disconcerting, but lent the work a poised reflective quality. I admire Barker's ability to write "real" lives with such naturalism. Pat Barker is a fine writer and in this novel, from the first page she gives the reader an engaging, compelling, and entertaining story about Siegfried Sassoon, the poet, and his psychiatrist, Dr Rivers, and other patients including Wilfred Owens. If you have read Sassoon's memoirs and poetry, Owen's poetry, Robert Graves' wonderful memoir, as well as Unger's German soldier's perspective, and then perhaps some historical accounts of the fighting during WWI, you will really appreciate this novel. 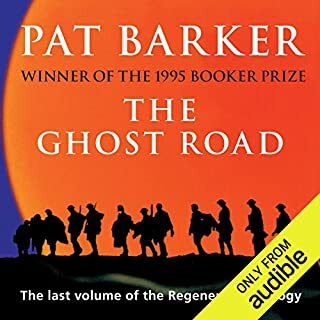 By blending fictional and real characters in this historic novel Pat Barker has created a powerful book about the traumas of World War 1. The different points of view regarding the war and various treatments for those psychologically damaged from their experiences are narrated in the third person omniscient, which works well here. 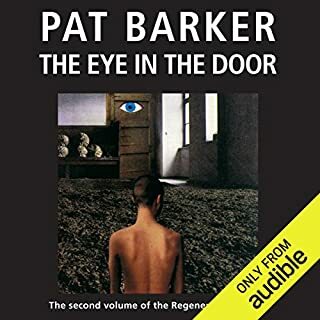 Peter Firth reads this audiobook and I can't imagine anyone reading it as well as he does. I feel encouraged to read the next two books in the trilogy. Tight, sparse prose; perfect for the material. Peter Firth delivers a perfectly under-played and subtle reading. Will probably listen again sometime. This book is a real pleasure to listen to. I have also purchased part 2 and 3 because I want more. I have meanwhile purchased the printed books as well, so that I can dip into them from time to time. The narrator reads very well, although it took me a little time to get used to the style - a little vague sometimes. But overall listening to this book was a really great experience.